Olin Electric Motorsports is incredibly excited to announce our 2018-2019 leadership team! Hello, My name is Aurora Bunten and I am this year’s Project Manager. This will be my third year on the team. My first year, I was on the electrical team working on the Accumulator Isolation Relay board. This past year, I was on the transmission sub-team working on the differential and motor housing and tensioning system. I am so happy to have a leadership role on the team this year and am excited to work on the team’s growth both technically and culturally. This year is especially exciting because we are in a position of having the knowledge and resources to make significant design advancements. This combined with the amazing people we have on our team, I know this is going to be Olin Electric Motorsport’s best year yet and I can’t wait to be a part of it. Hey there! My name is Jonathan Zerez, and this will be my second year with olin electric motorsports. Last year, I helped to develop the accelerator pedal, as well as a few other components, such as the headrest and the battery cart. This year, in addition to working with the suspension subteam, I will be the team’s Mechanical Lead. I’m super stoked to get deeply involved with the team, both technically, and administratively. Beyond the obvious fact that this year's car is going to be the best we've ever made, I'm really excited to see the team grow and mature, not only in terms of increasing our technical and theoretical knowledge, but also in terms of team sustainability and culture. Howdy. I’m Corey and this year I am the Electrical Design Lead. Last year I worked on the throttle board while helping develop the two dashboard enclosures. I’m excited to be a part of the leadership team and to get to design with the team that taught me so much during my first year at Olin. I can’t wait to face new challenges in the coming year and see them come to light in MK-IV. I’m confident that this year we’ll go further than we ever have before. Hello! 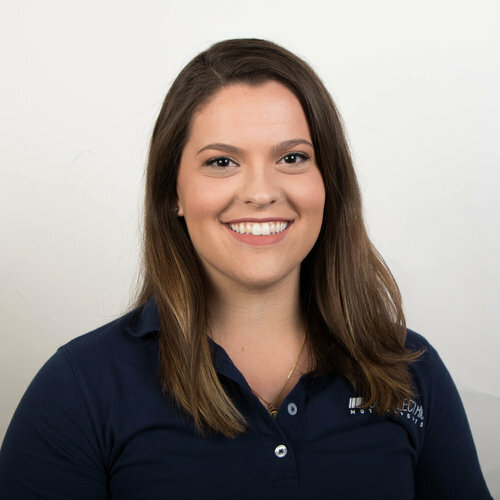 I’m Lacie Fradet, and I am the Financial Manager for the second year in a row on Olin Electric Motorsports. As Financial Manager, I manage the budget of our team, and keep track of all of our expenses and donations. This is also my third year on the team, and I am so excited to continue my role on the mechanical subteam, designing the chain-driven steering system. It’s really rewarding being a part of the team in both technical and administrative aspects because I not only get to continue to develop and grow in the engineering realm, but also get some experience managing the financial aspect of a team. Hello! I will be returning to the team for the third year and in a third, new position on the team! In my first year, I was a member of the electrical team where I worked on the dashboard PCB which I designed and manufactured. Last year, I returned to the electrical team and lead the first ever firmware subteam where I created a new build system to produce custom firmware for our ~10 PCBs that required it. This year I am excited to be leading our team’s marketing efforts alongside the help of Anil. I’m very excited to bring our team and its mission to more company sponsors, increase our community outreach, and manage our outward facing content creation efforts. Hi! My name is Anil and I’ve been lucky to have been involved with a number of different roles on the team during my first two years. My first year I learned a ton of mechanical design and engineering skills by working on the brakes, accelerator pedal, and electrical enclosures. As mechanical design lead my sophomore year, I took a more administrative position - seeing the ins and outs of the team through the lens of mechanical system management, fabrication, and sponsorship. This year I am taking a step back from a direct leadership position to act as a team mentor and dive into an awesome technical project, the accumulator! (battery box). I can’t wait to see this team come back together in the fall and build Olin’s coolest race car yet! Hi! I’m Lucky Jordan and last year I was the team’s Electrical Design Lead. Nowadays I’m working at a company in Sunnyvale, CA called Gener8 as an electrical engineer and am loving it. It’s really rewarding to see that basically all the technical skills I’m applying at my job come directly from my experience on Formula. I’m super stoked this summer to kick off our new Advanced Research sub team led by one of our rising sophomores. Although I’m taking next year off to extend my internship, I can’t wait to provide some guidance and experience to this year’s electrical team as we take on new challenges. Hi, I’m Alex Hoppe and I was Electrical Lead two years ago during the Mk II build year. This will be my fourth year with the team, and I’ll primarily be working in a technical and advisory role for electrical hardware development and improving our firmware across the board, and I’ll also be supporting our custom battery management system design. This year the goals I’m eager to achieve are closing the loop on a bunch of our designs with better data logging, capture and analysis tools and capturing our design process in a more easily accessible way for teaching new students. I’m excited to help grow our team this year into the most effective race car team we’ve had yet! We are just getting our Mk.4 competition year started, so look out for more information and inductions of our new and returning engineers!